All organizations and executives have goals, Avant Strategy helps achieve them. Avant Strategy provides strategy, operations, marketing, finance and M&A consulting services to both privately held and publicly traded companies. To help organizations drive improvements and achieve their goals. Avant Strategy is a management consulting firm that provides strategy, operations, marketing, finance and M&A services to privately held and publicly traded companies. We work with our clients to help them drive improvements within their organizations and achieve both their short-term and long-term strategic, operational, marketing and financial goals. We partner with clients to develop solutions that deliver results. We know from experience that every organization is different, which is why we work closely with our clients to understand their specific needs, challenges, and goals first. Once we understand the situation at hand, we partner with our clients to develop an approach that works for them. From there, we develop solutions that deliver results and help our clients achieve their goals. Partnering with our clients is our priority and is fundamental to developing solutions that stand the test of time. We have worked with some of the world's most successful companies. Our team has experience working with senior executives at Google, Microsoft, Brocade Communications, Arris, Wal-Mart, Coca-Cola, The Home Depot, GE, Pfizer, Merck, Delta Airlines, Warner Brothers Entertainment, USG, MasterCard, Discover, Allstate, Willis Towers Watson, Equifax, Freddie Mac, Ingredion, Accenture and Deloitte Consulting LLP. We have executed on transformational projects in North America, South America, Europe and Asia that have delivered strategic, operational and financial results to our clients. We offer strategy, operations, marketing, finance and M&A management consulting services to companies of all sizes. 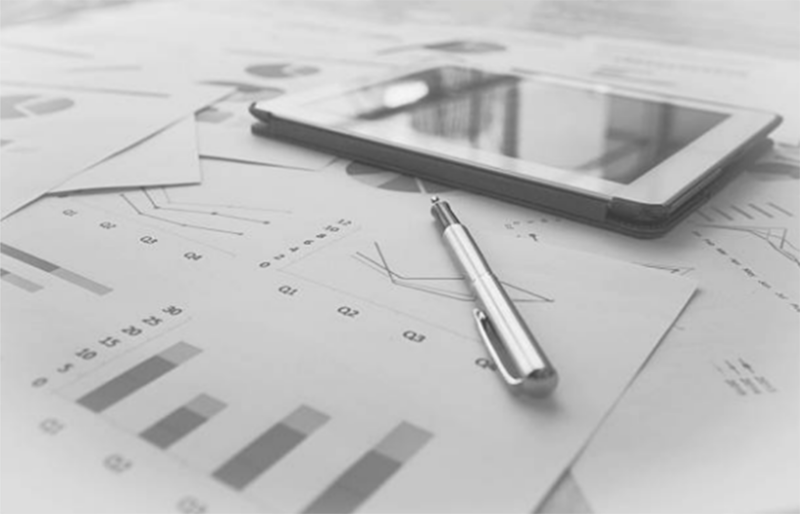 Our offerings are in areas where our clients typically face the most critical issues and opportunities: strategy, operations, marketing, finance and M&A. We bring deep functional expertise along with extensive industry knowledge and global experience to all of our clients. We know from experience that both challenges and opportunities often extend beyond a single function, which is why we keep the big picture in mind and focus on delivering comprehensive, cross-functional solutions. Need help driving growth and developing an execution plan? Looking for ways to reduce costs and improve profitability? Want to improve performance and drive efficiency? Need help preparing for an acquisition or divestiture? Need help maximizing your marketing spend? We serve clients across all industries, but have expertise in tech, media and entertainment, travel and leisure, retail, healthcare and life sciences, food, consumer and industrial products, logistics and transportation, financial services, professional services and non-profit. We bring a combination of industry-specific knowledge and best practices from across all industries to our clients in an effort to deliver fresh perspectives and new insights. We strive to help our clients develop solutions that set a new standard for excellence in their respective industries. Katie is one of the best consultants I've ever worked with. She helped manage the global consolidation of processes across multiple countries into two shared service centers for the largest and fastest merger integration effort ever performed by Google. Her intellect, drive, teamwork and problem-solving skills proved to be an invaluable asset to both me and my team during the integration. She was always thinking ahead, anticipating my needs and delivering valuable insights and solutions, which was critical given the accelerated timeline we faced. I would recommend her to any executive in need of a strong management consultant. Katie developed an R&D lab management model for engineering teams that increased the adoption of Microsoft's internal cloud computing solution and resulted in $10M+ in annual savings across procurement, asset management, and lab operations. Katie has a positive, results-oriented, can-do attitude, to go along with business intelligence. She tackles tough problems and can lead projects in a systematic, organized manner, all while setting a fast pace. She holds herself accountable for high-quality results and is capable of excelling in individual or team-based roles. I really enjoyed working with Katie and would recommend her to other executives. Katie helped me and my team at GE identify cost savings opportunities, improve our financial analytics and redesign processes to drive efficiencies within our business unit. She is sharp, analytical and one of the most honest and genuine people you'll ever meet. Her positive attitude, energy, and dedication to delivering results make her a joy to work with on any project. I've established a strong personal and professional relationship with her and look forward to working with her again in the future. If you are in need of a smart and capable consultant, hire Katie. While at Home Depot, Amanda developed a model utilizing sales, economic, demographic and competitor data that was used to select strategic focus markets. Amanda partnered with Field Merchants and Regional Vice Presidents to develop strategies addressing merchandising, store operations and marketing to combat competition and drive incremental transactions in these markets. Amanda is a data-driven strategic thinker who is results-oriented. She is a passionate marketer and enjoyed fostering relationships across functions. I would recommend her to any organization looking for a strategic consultant. Amanda overhauled the marketing organization by putting into place processes and measurements to ensure marketing initiatives were executed strategically, on time, and in a cost effective way while delivering positive ROI for Mannington Mills. She oversaw the entire process of developing and implementing a B2B strategic marketing plan for our premium and budget product categories in our U.S. and Canadian markets. She also acted as the lead on a project involving the expansion of our business into Brazil – inclusive of researching and facilitating the steps needed to open an office and set up business operations in Sao Paulo. Amanda understands the big picture, is a strategic thinker and is results-oriented. You can count on her to deliver. 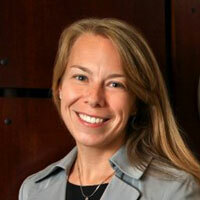 Katie has nearly fifteen years of experience driving change for Fortune 500 executives. She has successfully managed transformational projects across strategy, operations, finance and M&A for senior executives at Google, Microsoft, Brocade Communications, Arris, Wal-Mart, GE, Pfizer, Merck, Delta Airlines, Warner Brothers Entertainment, USG, Equifax, Freddie Mac, Allstate, Willis Towers Watson, Ingredion, Accenture and Deloitte Consulting LLP. She has extensive global experience, having worked in countries across North America, Europe & Asia. 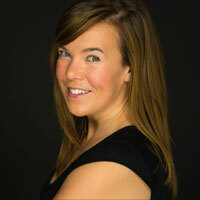 Prior to founding Avant Strategy, Katie served as a management consultant in the Strategy & Operations Practice at Deloitte Consulting LLP and completed GE’s Financial Management Program (FMP). Katie holds an MBA in Strategy & Operations from the Stephen M. Ross School of Business at the University of Michigan and a BBA in Finance & Business Economics from the Mendoza College of Business at the University of Notre Dame. Amanda has twenty years of experience driving change for senior executives at start-ups, private equity-owned businesses and Fortune 500 companies. She has successfully managed transformational projects across strategy, marketing, sales and operations for leaders at Coca-Cola, The Home Depot, Equifax, MasterCard, Discover, Mannington Mills, The Impact Partnership and Veritiv. She also has global experience, having worked in countries throughout North America, South America and Europe. Prior to becoming a Partner at Avant Strategy, Amanda served in executive marketing roles at Mannington Mills, The Impact Partnership and most recently Veritiv, an $8B distributor of industrial products. Amanda holds an MBA in Marketing from Melbourne Business School in Australia and a BBA in Management Information Systems from the Mendoza College of Business at the University of Notre Dame.